You know that feeling…the little itch in your nose or eyes. That’s when you know allergy season is on its way. Last year in Portland we had what felt like a very long allergy season. Did you know that you don’t have to suffer from allergies forever? Our naturopathic providers can help. Immunotherapy is the only treatment for allergy that changes the way immune system reacts to allergens, ultimately leading to fewer or no symptoms after treatment. In other words, immunotherapy re-trains your body to stop reacting. At our Portland clinic, naturopathic doctor Laurie Menk Otto uses sublingual immunotherapy or “allergy drops” to treat allergy. This treatment is very convenient—it’s as easy as taking drops under your tongue each day, and it does not require frequent office visits or shots. Relief can be felt as early as several weeks into treatment. Your allergy drops are mixed specifically for your allergy. This is important, because drops allow you to receive treatment for all of your environmental allergens. Treating for just one or two allergens would not bring about strong symptom relief. If you are allergic to trees, dust, and dogs, you can be treated for all of them at the same time. Is this different from taking an antihistamine? Yes. Antihistamines and nasal sprays are often recommended to control allergy symptoms, but many people don’t like the side effects or don’t want to rely on medications forever. That’s where working with Dr. Laurie can help, as the approach to treatment is very specific to your symptoms. If you want alternative options for allergy control, there are many things our naturopathic doctors can recommend. Identifying what you are allergic to, controlling your environment to reduce exposure, and starting immunotherapy are your best bets to feel lasting relief and stop symptoms for good. First, allergy testing is used to identify exactly what you are reacting to. It’s an easy test that takes one hour, and you have results by the time you walk out the door. You will leave the appointment that day with a list of actions that you can take to remove allergens from your environment, which alone will help to reduce symptoms. But it doesn’t stop there. Diet or other changes can help to reduce symptoms further, and if you are looking for alternatives for symptom control, Dr. Laurie can help you with other options. 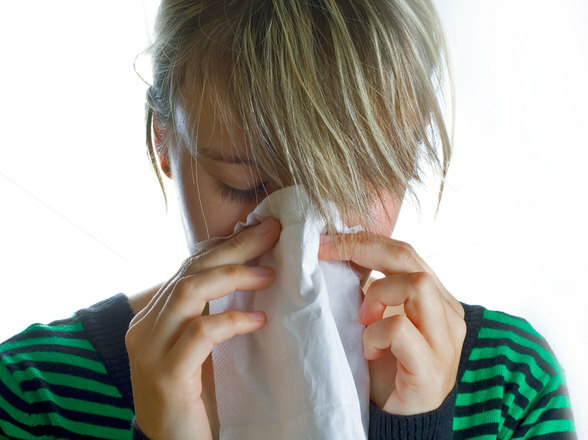 Starting the process of identifying your allergies using testing, and getting treatment started about 3 months before your allergy season is ideal, but immunotherapy can be done at any time. Be sure that you see someone who has specific training in allergy testing and treatment if you test or treat outside of an allergist’s office. Be sure that you know where they trained. Ask questions. If you’re sick of dealing with allergies, make this your year to start treatment to end them. Stay tuned for future installments to hear about why you should see a Portland naturopathic doctor for full spectrum allergy treatment. Dr. Laurie Menk Otto does skin prick allergy testing, and sublingual immunotherapy, or “allergy drops” at her practice at Heart Spring Health. With spring and summer approaching, it is a good time to make an appointment for an allergy evaluation and to discuss your symptom picture. Wouldn’t it be nice to get through your next allergy season with less sneezing, runny nose, and itchy eyes? This entry was posted in Allergies, Immunotherapy and tagged portland naturopathic doctor, portland naturopathic practitioner, portland naturopathic provider.